﻿ Sid sign flight cases for safe, secure transport and storage. The perfect speed display storage choice. Flight cases specifically designed for the safe, secure transport and storage of your sid sign. 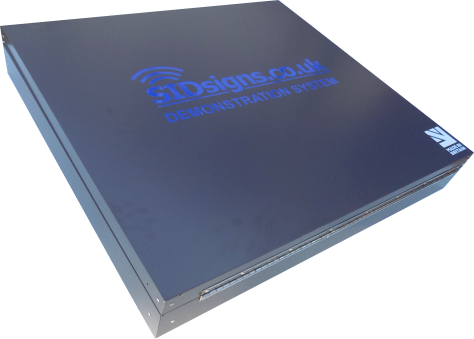 If you purchase a portable sid sign which you plan to move, store and reinstall then a flight case might be something you are interested in. It's important to mention that a flight case isn't something you have to buy; if you are happy to arrange a safe method of transport and storage there is no need to invest in a flight case. If you already manufacturer the entire speed sign system it makes sense to design and produce flight cases to match, after all, who else could be better placed to complete the work?. Machined from plain or coloured ACM (aluminium composite material) and lined with cushioning nitrogen foam all flight cases are designed to provide a safe place to store the speed sign while it is transported or stored. Hinged along the bottom edge, fitted with a custom made aluminium handle, secured with steel latches, flight cases are designed to look smart and perform properly. 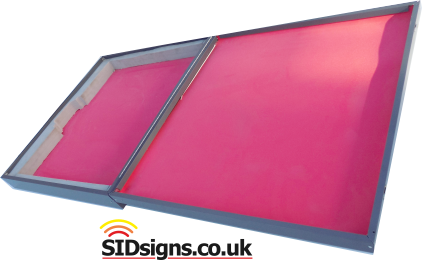 Speed sign flight cases can be manufactured to match corporate or council colour schemes. Logos of your company or organisation can be produced and installed on the case, items such as wheels or castors can be incorporated if these are something you would like. Manufactured from a raw material level the flight cases we produce are cost effective and specifically designed to house the speed sign products shown on this site.